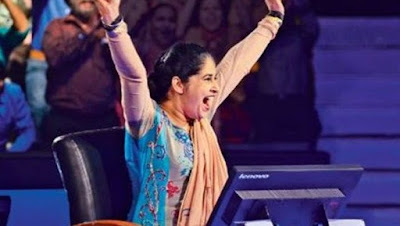 “Kaun Banega Crorepati” winners’ stories can inspire anybody, not doubts that this show gives the chances to the common men for earning money in lakes or curare. This knowledge base game show makes milliners’ in past time, But did you know that where they stand, and what the winner doing nowadays? Okey, let EAITians tells you what they did with the prize money. Harshvardhan Nawathe – It was 2000, when the Harshvardhan Nawathe Was an aspiring civil services candidate busy in preparation for the crack UPSC exam, the show changes his life, and makes him in the limelight after becoming the first ever contestant. But all this change his mind and he leaves the way of UPSC, and take the way to management, and get an MBA degree. Now, he has two children and working in Mahindra Company. 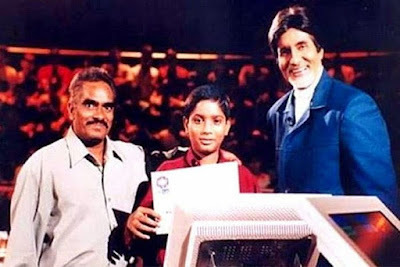 Ravi Mohan Saini- He was class 10th students and only 14 years old when he wins the “Kaun Banega Crorepati Junior”. After, win the show he not stops and continues his study, and now Ravi Mohan Saini is an IPS (Indian Police Service) officer. Rahat Taslim – She belongs to a family where girls' education was not permitted, when she was preparing for medical entrance exams, family organizes her marriage. She was the winner of KBS session four, and this victory boost her, although, she could not continue her medical preparation, but She starts up with 1 core and open own showroom, and never look back. Today, she is successful businesspersons. 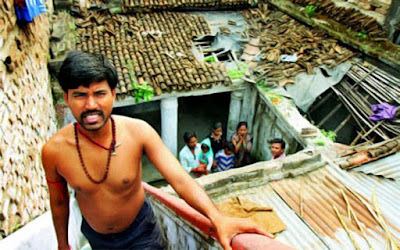 Sushil Kumar- The winner of KBC session 5, from a very poor and slum family, belongs to Bihar. He wins the 5 cores, in season five. All this makes him popular to national level, and he makes room in a reality show. What he did with the prize amount, He never discloses this, but it's true that the show changed his life. Few resources claim that he is looking for a job nowadays. Sunmeet Kaur Sawhney- Fashion designer course degree/diploma holder, but her In-laws family member not permitted her for a job or to start own work.Yes, the story is full filmy. After, few years she started the Tifin supply business, but because of an accident, she plans fail, and she stop this. She, again rise with Home tuition, and this knowledge and practice not only take her to KBS6, but also she wins the FIVE Crore. She startup with these amounts and with her one friend she open Fashion Designing House, but now she is not the part of this. 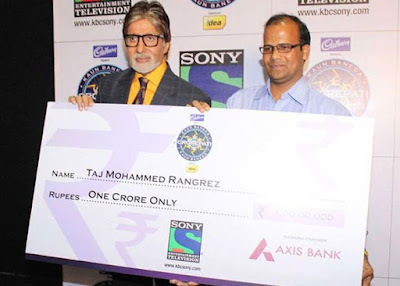 Taj Mohammad Rangrez - Teacher and the first winner of ONE CRORE in season seven. After, when he said that now he can buy a home, and will spend this money for his daughter’s eye the treatment. He didn't change his profession, today he is society’s successful person. 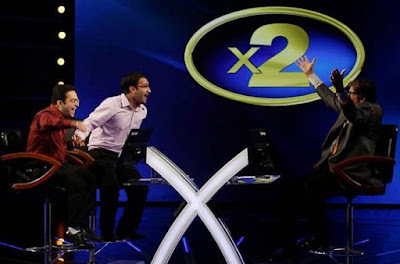 Achin and Sarthak Narula- The biggest winners in the Indian Television history, they win SEVEN Crore Indian Rupees in kbc. They both are real bro, they spent the money wisely, they spent for their mother’s cancer treatment and for start own business for themselves.